Irritable Bowel Syndrome, also referred to as IBS, is a common disorder of the intestines. This condition causes stomach pain, cramping or bloating, gas, and diarrhea or constipation. Though the symptoms can be severe and painful, this condition does not cause permanent damage to your colon. There is no increased risk of colorectal cancer if you have IBS. IBS is a manageable condition even though it’s long term; there are several things that can be done to manage and reduce your symptoms through changes in your diet, lifestyle and stress level. There is no clear organic cause for IBS, and scientists believe there may be different causes for different people. A popular theory identifies problems with the signals sent between the brain and digestive tract, problems or sensitivities to certain foods, stress or anxiety. There are regular muscle contractions in the digestive tract that push food through the intestines, and another theory is that people who have IBS may have increased sensitivity in their intestines or issues with the movement of the intestinal muscles. Patients with IBS may have intestinal muscle movement that is stronger and longer than normal, causing gas, bloating and diarrhea. Abnormalities in the nervous system or colon may also have also affect the situation, causing higher than normal pain from increased gas in the intestine. The major symptoms that accompany IBS are abdominal pain paired with constipation or diarrhea. Other symptoms that may occur are mucus in the stools, bloating, or feeling that you never completely empty your bowels. Most patients switch between having constipation or diarrhea, and one condition tends to occur more than the other. Many patients find that symptoms worsen when certain foods are consumed. For example, milk, chocolate or alcohol may cause diarrhea or constipation. Carbonated beverages, certain fruits or vegetables may also intensify bloating or discomfort. There is a possibility that food allergy or intolerance may influence irritable bowel syndrome, but it is not yet clearly understood. Stress is another factor that tends to increase or worsen symptoms of IBS. Changes in your daily routine or stressful events can create heightened symptoms. 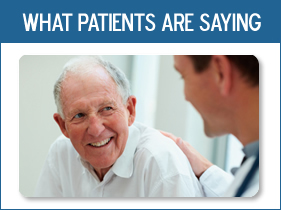 Hormonal changes may play a role in the intensity of symptoms as well. Some women with IBS see symptoms worsen around menstrual periods. Most physicians focus on the management and reduction of the symptoms in order so you may lead as normal a life as possible. There are many different options available in both lifestyle changes and drugs to manage IBS. Several newer treatments are available for IBS patients, which are quite promising. 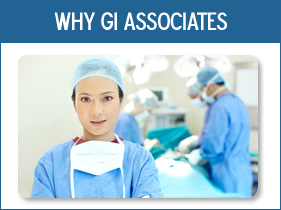 Speak with GI Associates about how you can manage your IBS and lead a normal active lifestyle.